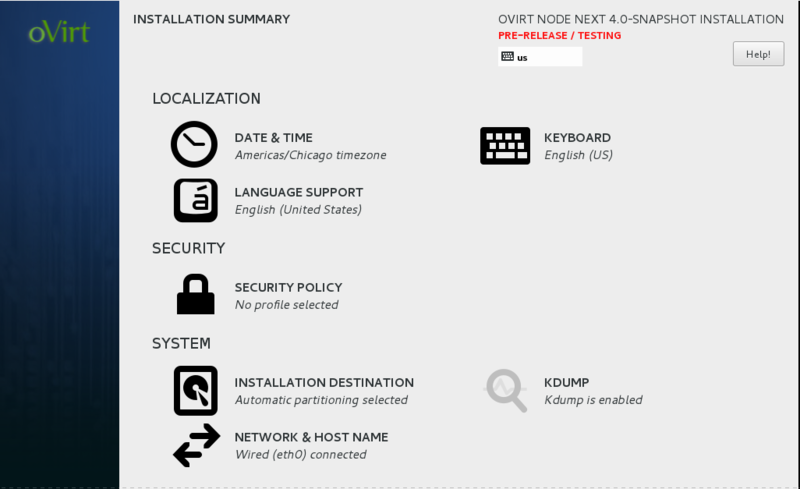 oVirt Node 4.0 is the new generation of oVirt hypervisor created by ovirt-node team. In this post, I am going to describe how to do the setup of oVirt Node 4.0 and Hosted Engine via Cockpit. Before we start, let's do a quick recap in a few words.. It's a minimal OS that contains all requirements to become an oVirt hypervisor. It's the ability of having the oVirt Node and oVirt Engine in the same machine. 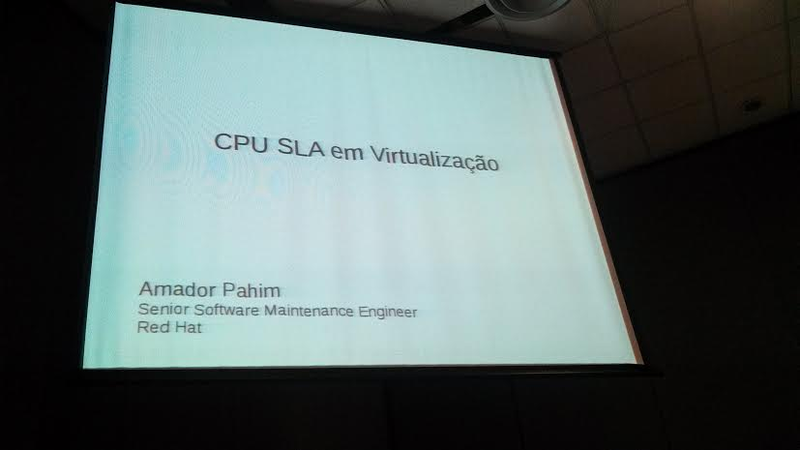 Basically, the oVirt Engine will be a virtual machine in the hypervisor. In case you are wondering, Hosted Engine has high availability. Why we have a new generation of oVirt Node? It's has been while since the ovirt-node creation, approximately +8 years and ovirt-node requires an update to make users and developers easier. Although, we provide via jenkins job several formats of ovirt-node 4.0, like: .iso, .qcow2, .squashfs for this post we will use the .iso. For the oVirt Engine side, we will use the appliance image that already contains the ovirt-engine ready to use. What's the requirements for this example? #9 - Use a web-browser and connect into the hypervisor via cockpit using the port 9090. 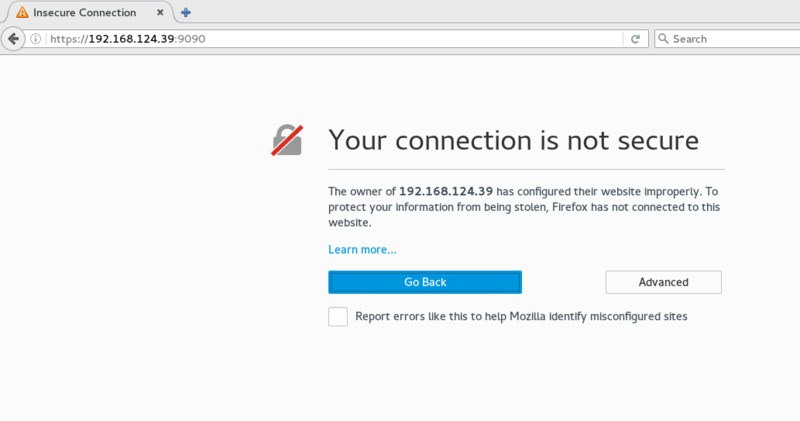 To continue check the generated certificate and accept it. #10 - Login into the cockpit with your root account. In this step, you can use internal DNS or set in /etc/hosts the node.localdomain and engine.localdomain as resolvable names. It's not only important for this initial setup but for later when adding a second host into the hosted engine setup. Tip: You can also setup hostname of hypervisor via Cockpit in case it's not set yet. #24 - Automatic execute engine-setup in the appliance, in this example, yes. Wait a litte bit and you will see the conclusion of process and your engine vm will be available soon as well. 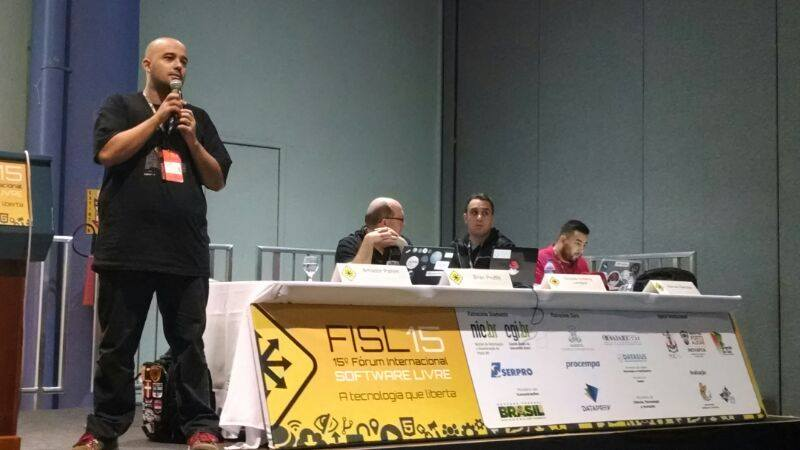 Last week I have participated of FISL conference from 8th to 11th July in Porto Alegre/Brazil. 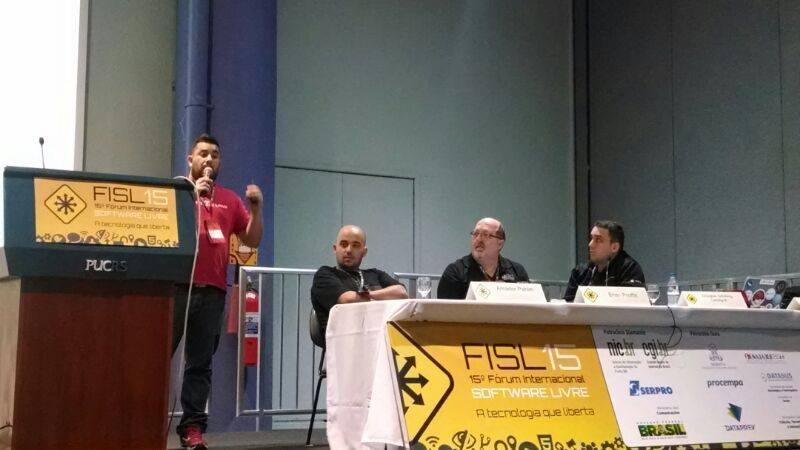 This year we completed 4 years of oVirt participating in FISL. 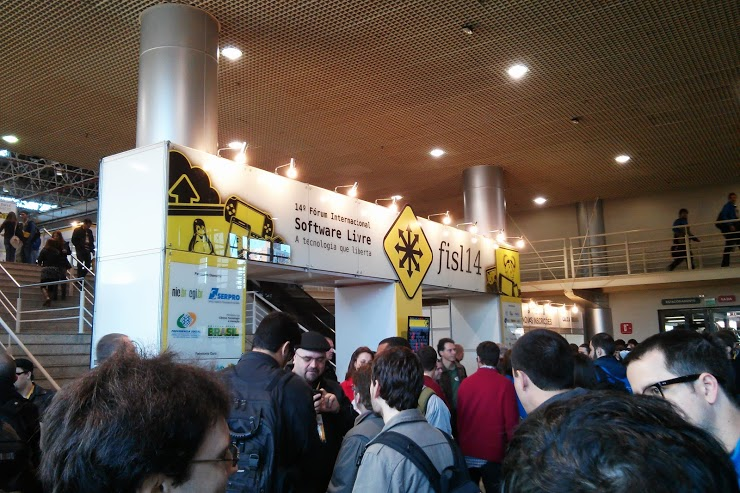 One of benefits to be in FISL and others similar events is the face-to-face contact between oVirt community/developers and users. 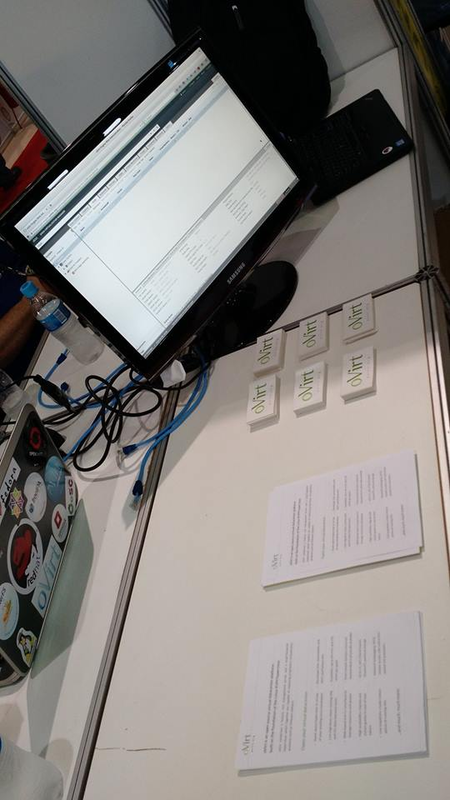 We have used all time we could in the booth/talks to explain how new features will be integrated to oVirt 3.6 and answering general questions around oVirt. 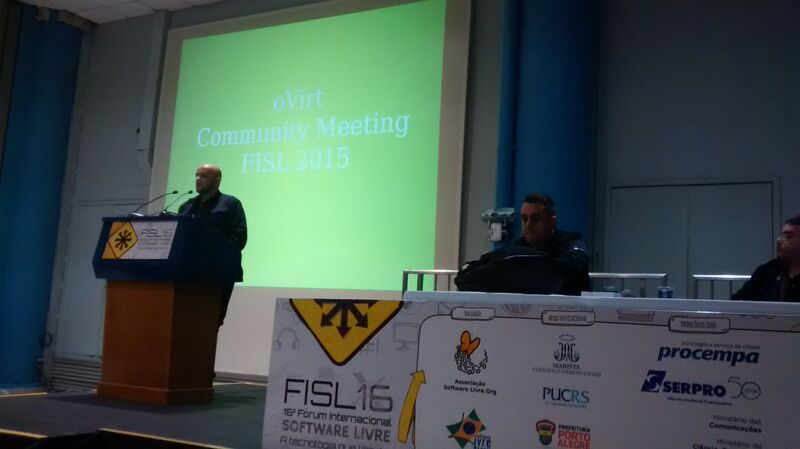 We have started with the annual oVirt Community update. 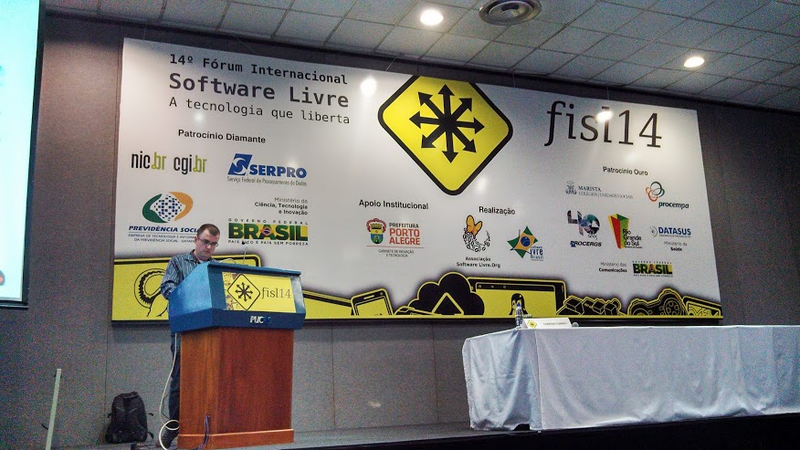 The goal for the community update slot in FISL is to share user experience with the current release of oVirt and share what's coming in oVirt 3.6.
how oVirt + Gluster is running in the development company that he works. and how well is running Jenkins and Gerrit servers on top of oVirt. 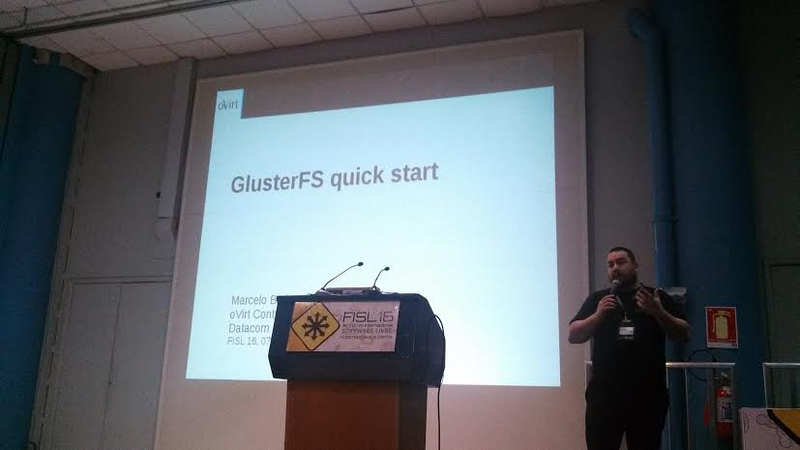 Next year Marcelo should take 2 slots for a similar talks, people are very interested in Gluster with oVirt and real use cases as demonstrated. and finally how we set it via oVirt Engine. 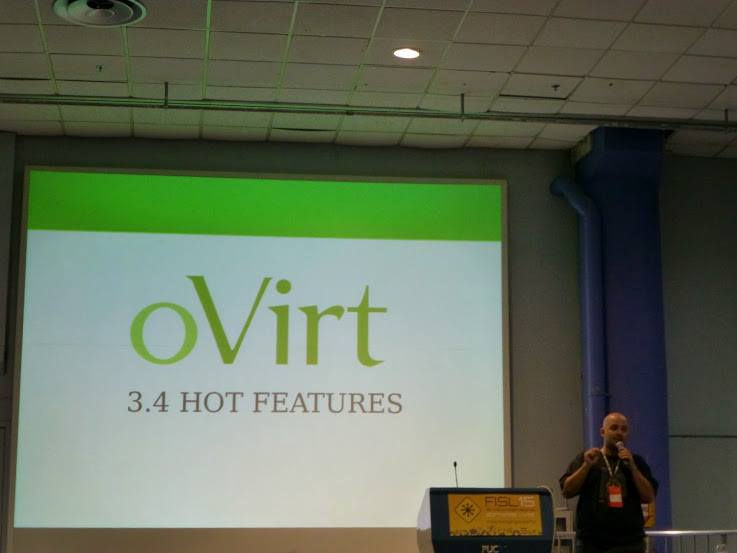 As he mentioned in the talk, some features were added in oVirt 3.3 and now for oVirt 3.6 we have much more. He also explained the balloon schema via MoM to the crowd. Well done Amador. 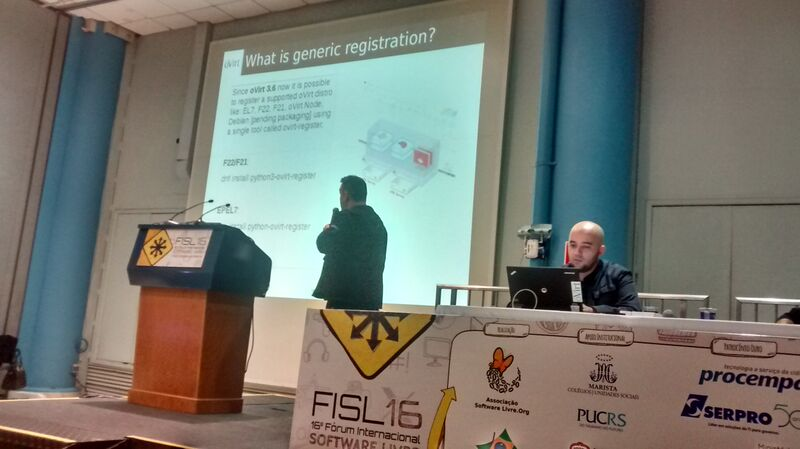 This year I brought a talk about the Generic Registration that oVirt 3.6 will provide via ovirt-register tool. Basically, now users can register their hypervisors running ovirt-register --engine-fqdn myengine.fqdn instead of going into oVirt Engine admin portal. This tool supports Fedora, CentOS 7, oVirt Node 3.6 and Debian. We called the tool 'python'-ovirt-register as it provides a python library too. 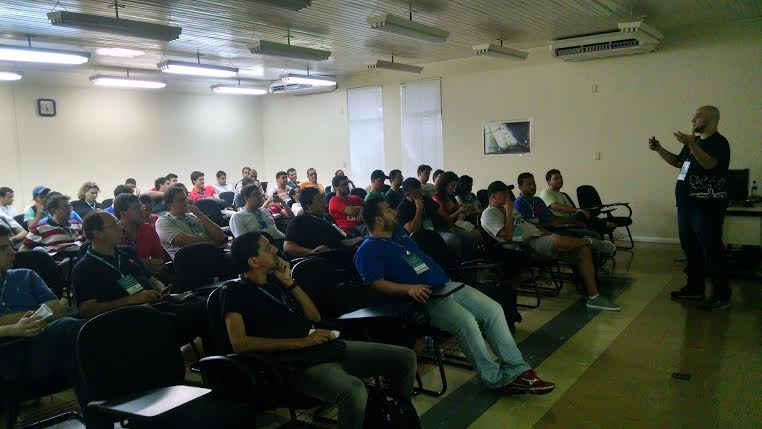 Amador started explaining topics and concepts involved in Atomic, Docker, Kubernetes to everyone be in the same page. 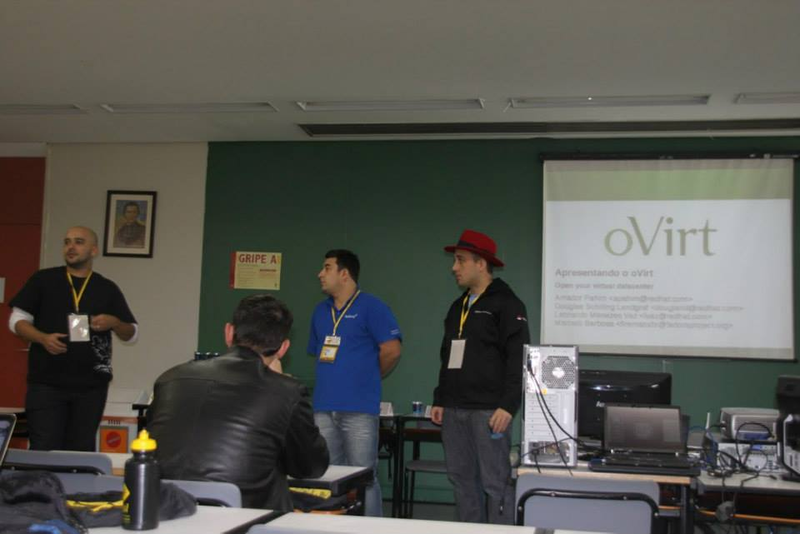 Later the showed how oVirt can be integrated with such topics. 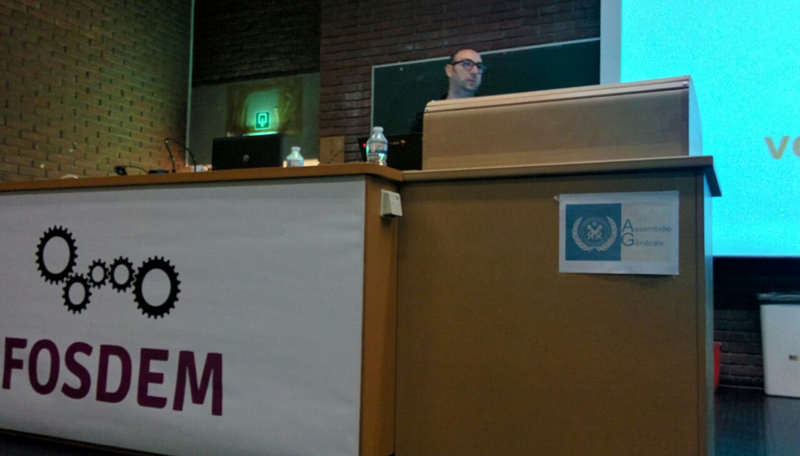 Was an amazing topic, crowd made several questions related to the subject. * How can I convert my VMWare to oVirt? Can I use the Graphical interface? oVirt 3.6 provides in oVirt Engine the possibility to migrate the VMWare guests. 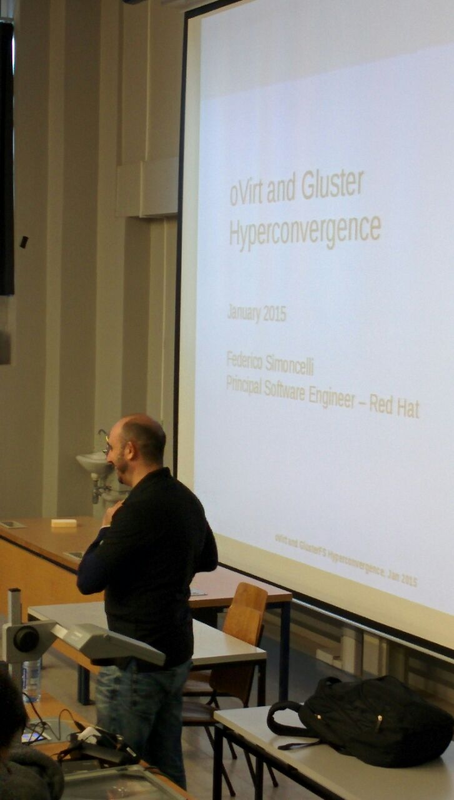 * Which distro oVirt 3.6 supports at moment as Hypervisor? * When the oVirt 3.6 final release will be launch? 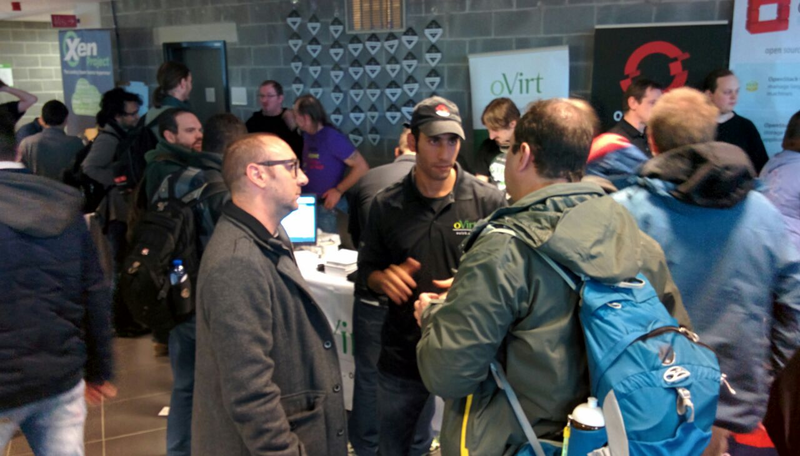 * Could you please share the oVirt 3.6 testing repo? * Where can I download ovirt-node 3.6 iso ? * Can I use oVirt Node, Hosted-Engine and Gluster or ISCSI together? yes oVirt 3.6 should support it. * How can I upgrade between the releases of oVirt? of iso in oVirt Engine and later trigger the upgrade via oVirt Engine. * Can I have 3rd party backup vendor tool integrated to Graphical interface of oVirt? I recommend you contact your favorite backup vendor and check it. 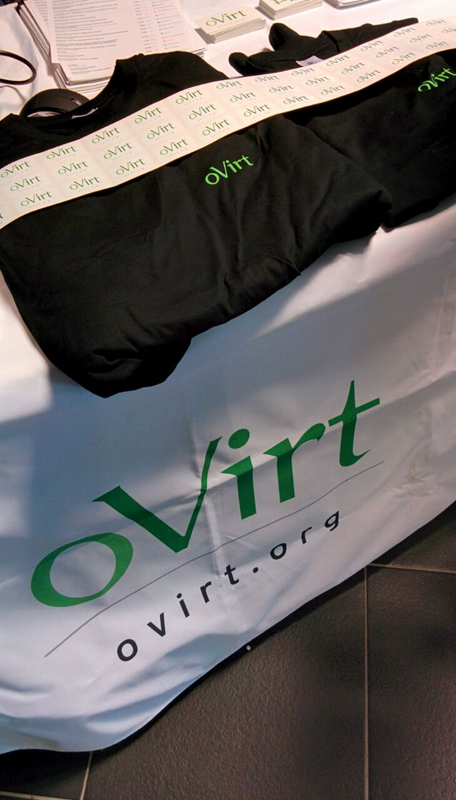 Finally, I would like to thanks Amador, Candido and Marcelo again for the great work we made in the oVirt booth. 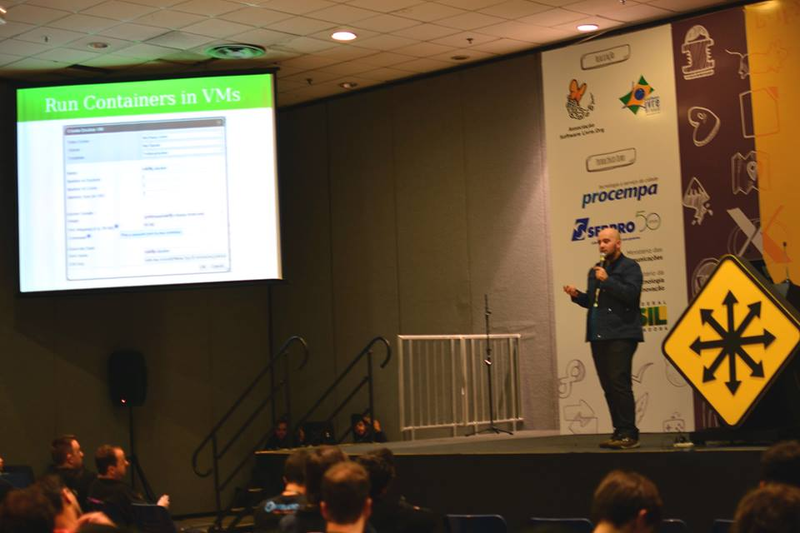 Next year would be awesome to see the companies that contact us in the event for information how to migrate their current virtualization solution to oVirt giving a talk about their use case. 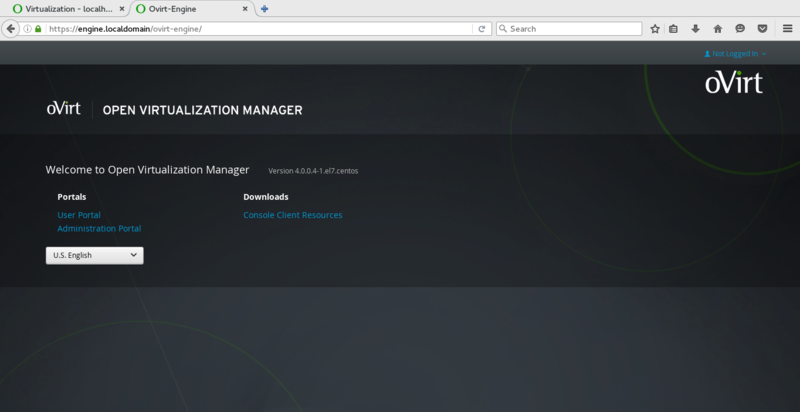 How to migrate to oVirt from Vmware or Xen platforms? Will virt-v2v be integrated to oVirt Engine? 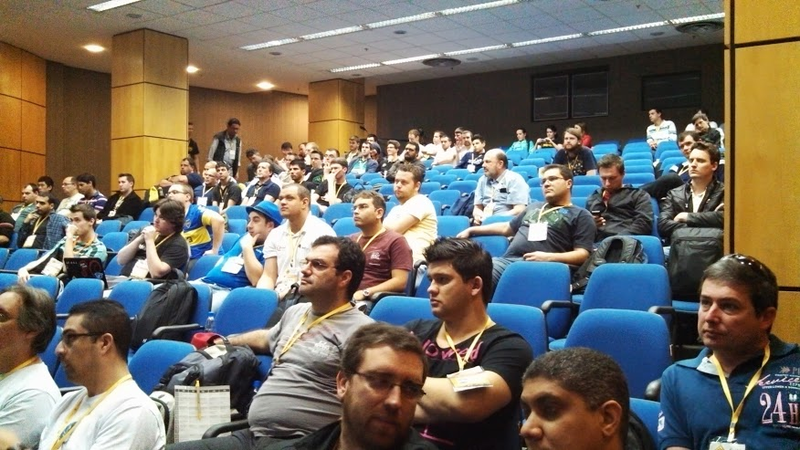 and many others questions such: upgrade ovirt, third backup solutions, ovirt-node, openstack, gluster etc. 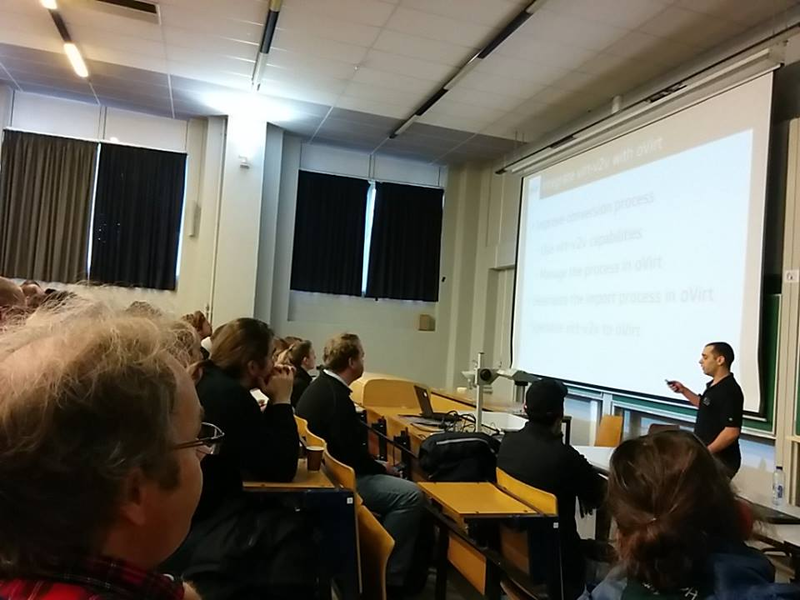 It was a great experience for sure, without mention that I could talk with others oVirt contributors from community during fosdem and in the ovirt social event. 'Have you heard about ovirt?' a lot of people just answered: 'Yes, I am using it'. Pretty awesome feedback. 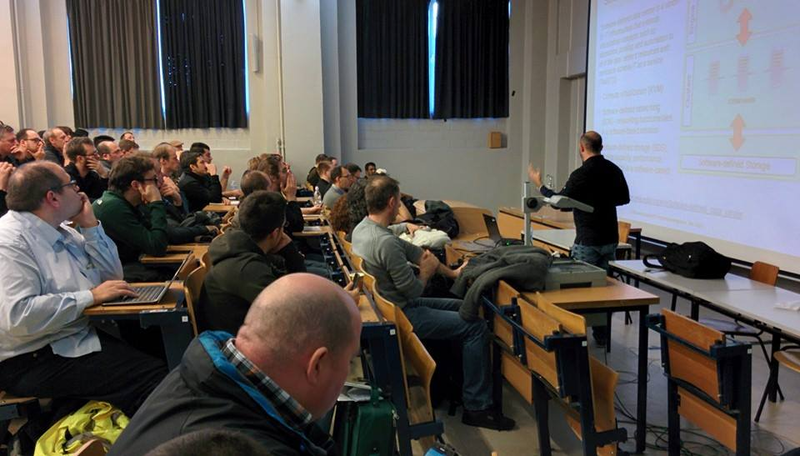 If you never been in FOSDEM, I really recommend this technical event. Hope to see you with the ovirt guys next year! oVirt Node 3.5.0 contains ovirt-node-plugin-hosted-engine, which allows setting up hosted engine to run oVirt Engine as virtual machine on the node (support HA, requires at least two hosts). 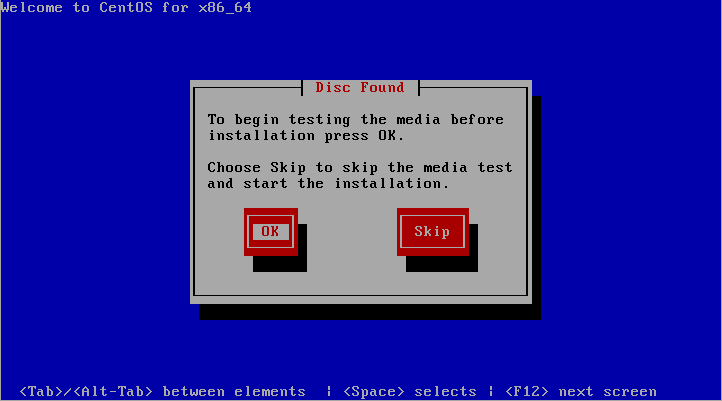 .ISO file, booting as cdrom, so you proceed the installation as normal operational system, later setting oVirt Engine and hosted-engine will connect to it and make all changed needed to configure your environment. The iso will be downloaded via http. 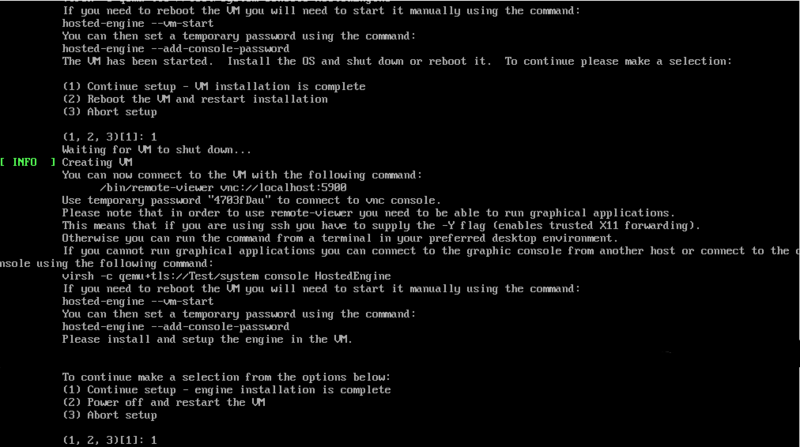 Install the virtual machine booting via PXE. Below example will be based on ISO (CentOS 6.5). - Admin portal password and FQDN are required to later hosted-engine connect to oVirt Engine and add the changes. The virtual machine is started to be installed the OS. Connect to VM via remote-viewer with the temp. password provided in the console and conclude the installation. AFTER the successfully OS installation, press 1 and continue. Connect again into the VM, update the system and setup oVirt Engine, AFTER the engine-setup is complete press 1 and the hosted-engine will finish the setup. 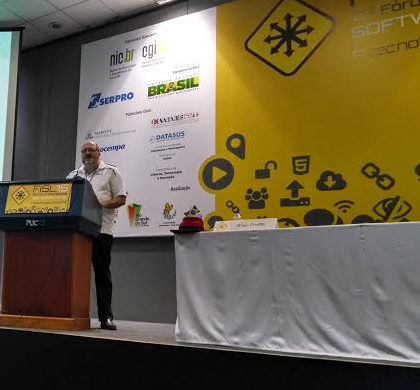 Last week I have participated of Latinoware conference from 15th to 17th Oct in Foz do Iguacu/Brazil with 4.532 attendees. 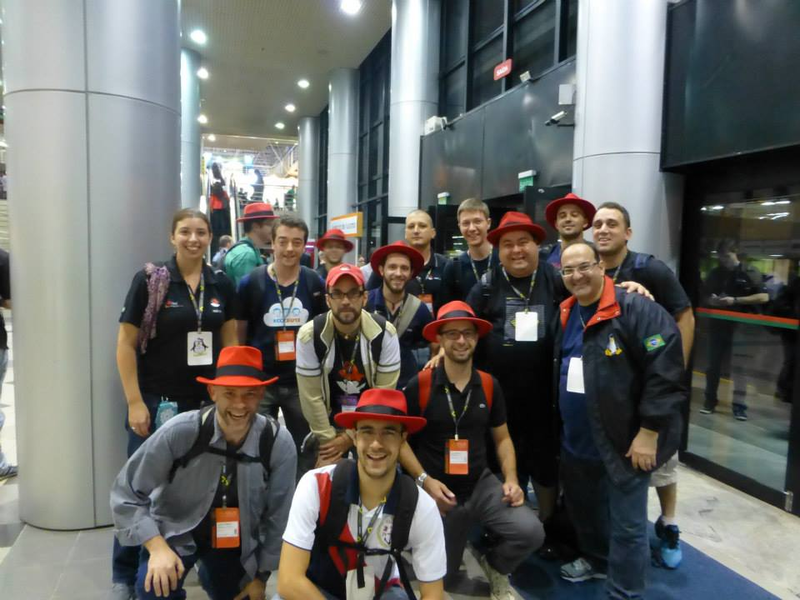 We (as Red Hat) went with a huge number of Red Hatters and Fedora people to promote the Open Source. As I went there to promote oVirt project, below my view of talks. 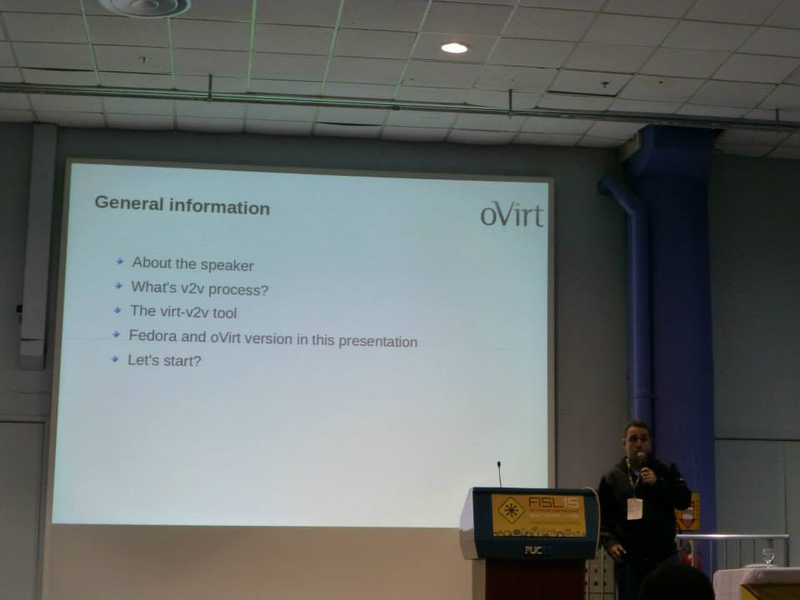 Amador gave a talk explaining the oVirt components and architecture, from oVirt Node until the new features available in 3.5 version. 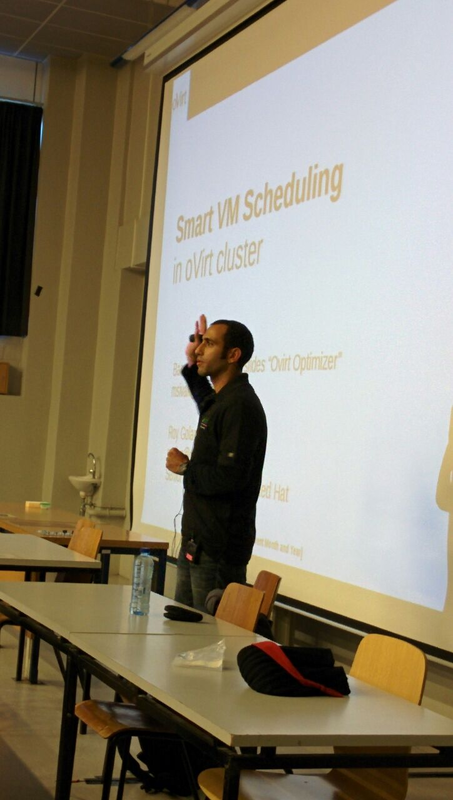 The crowd made general questions and as usual how to migrate their datacenter from Vmware to oVirt. Congrats Amador! 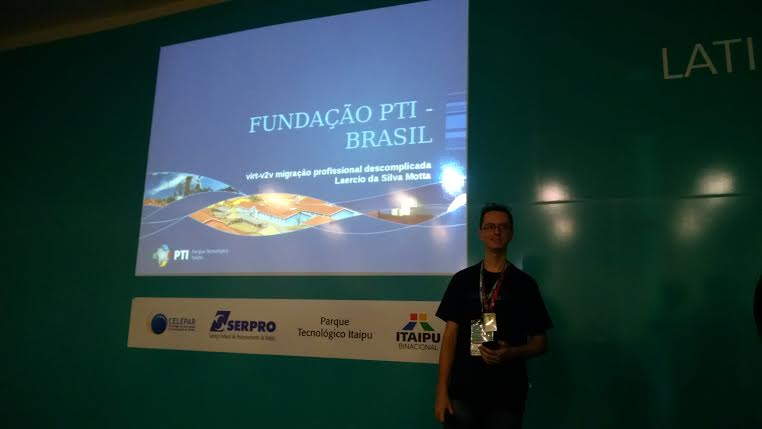 Laercio works at Itaipu Technological Park (PTI) where creation and sharing of knowledge are the standouts. Established in 2003 by Itaipu Binacional – world's largest hydroelectric generation plant in energy generation - the PTI's position as a science and technology hub in Brazil and Paraguay is consolidated. 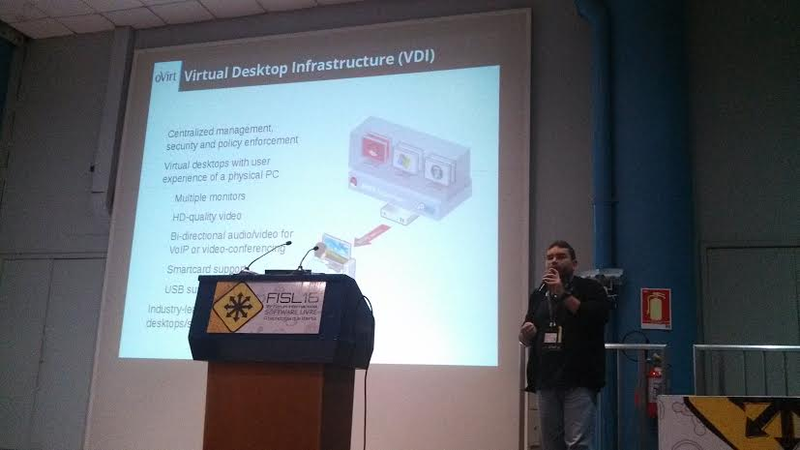 He demonstrated how they migrated from libvirt/kvm to oVirt and encourage people to do the same. 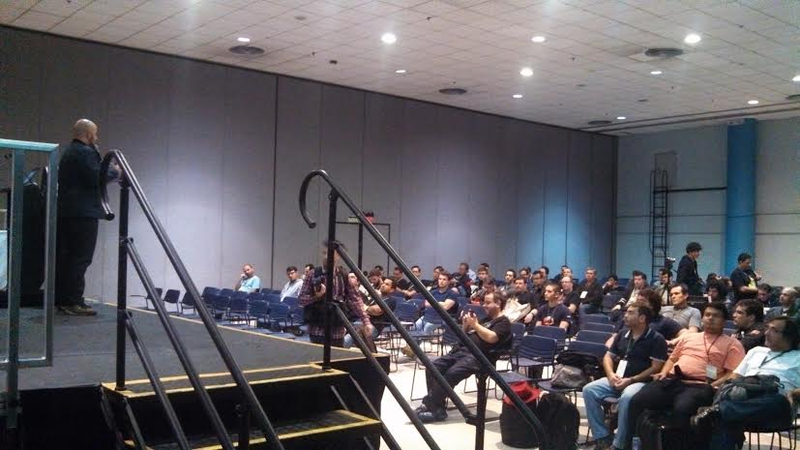 We had cases from crowed asking how to migrate from Xen using the same tool, pretty cool talk. 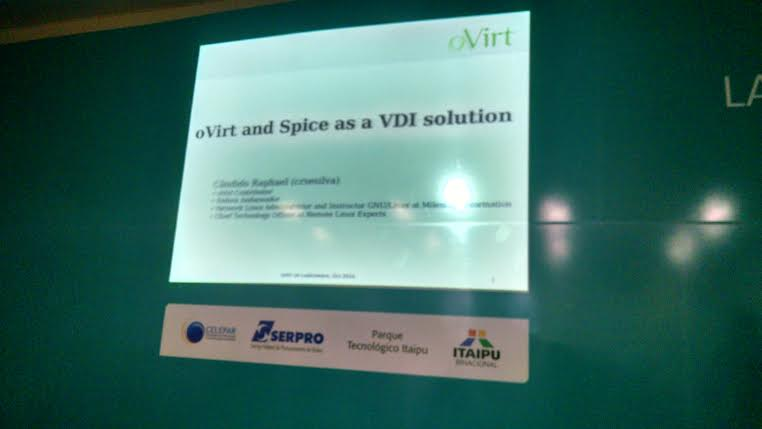 Candido Raphael is a consultant which showed in his talk how he used oVirt and Spice in two customers as VDI solution. One of customers was software house which had issues with their employees not creating virtual machines centralized and the other solution was to a car reseller. Well done! 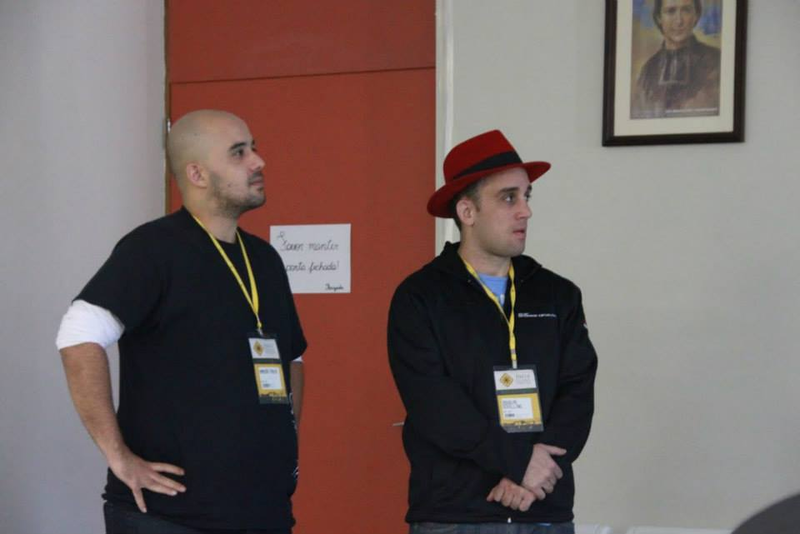 Despite of few months working officially as oVirt Node engineer, I have been contributing with several patches which made me brave enough (wearing my hat) to talk about it. 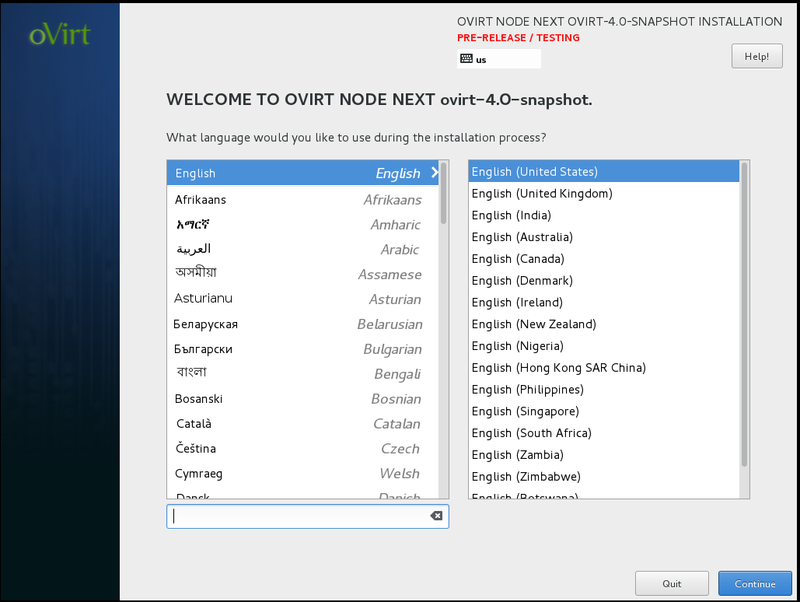 I have shared what's the ovirt-node project, how to install/update, how to contribute with it and even showed hosted-engine feature which is available in 3.5 version. During the talk I was interrupted several times for questions, which was good and in the end I had a student looking for help in his final work at college. 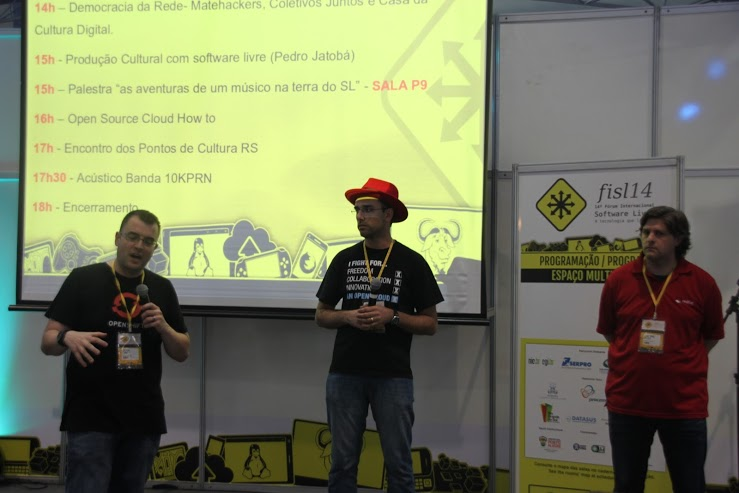 Besides the oVirt team we also had many other Red Hatters attending the conference and presenting talks, such as Amador Pahim (oVirt), Leonardo Vaz (XFS and Gluster), Daniel Bristot (Realtime), Marcelo Leitner and Flavio Leitner (OpenVSwitch), Herton (Kernel), Carlos Maiolino (XFS), Ricardo Martinelli (OpenShift), Mauricio Leal, Pedro Ganen. I would like to thank them for their presence. 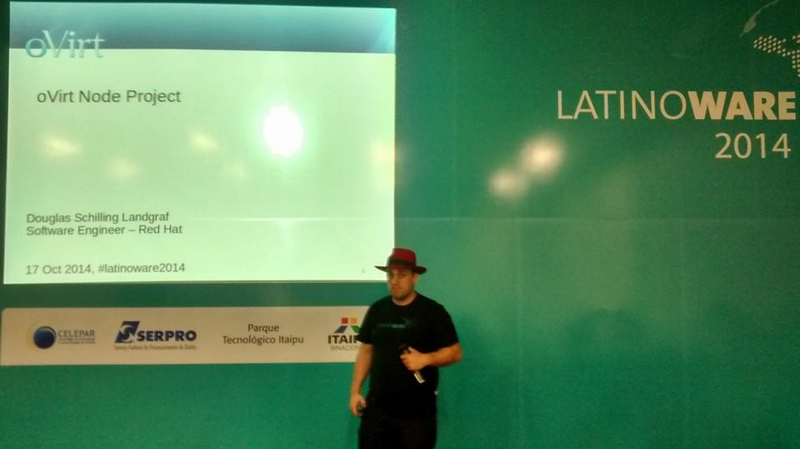 Finally, I would like to thank Fedora folks and specially the Latinoware organization team for making the greatest FOSS conference in Latin America. 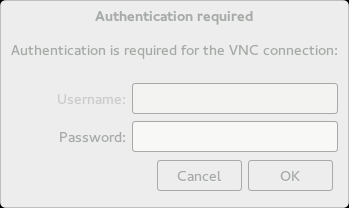 the below example we will update VDSM (node agent) and oVirt Node Plugin VDSM (TUI plugin for node registration). Note: CentOS 6.5 (CentOS-6.5-x86_64-minimal.iso) will be used in this demo as specific virtual machine to build oVirt Node iso. edit-node is the tool used to edit the node image and include a new package. Please note that it must be run on the same OS which is used within the image. 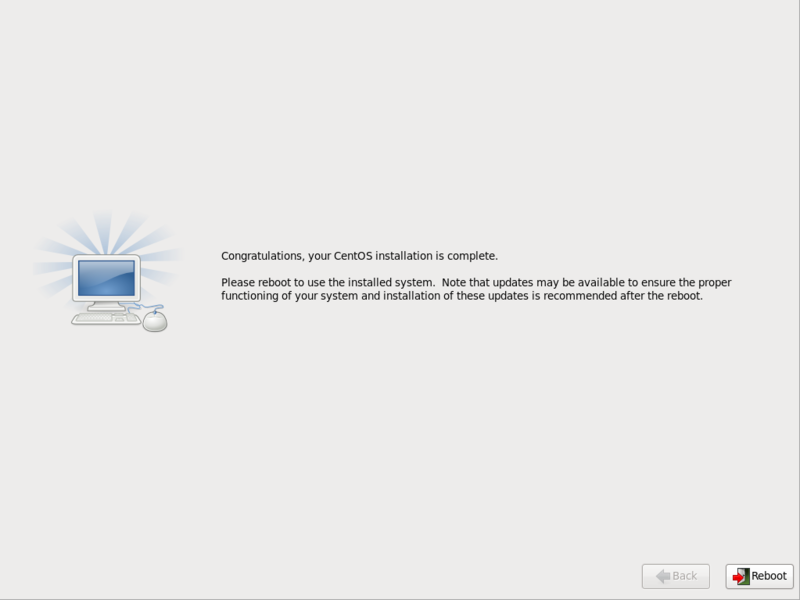 So an CentOS image must be edited on a CentOS host. # ./autogen.sh --system && make && make rpm && cd ..
# ./autogen.sh && make && make rpms && cd .. Note: It's not required to store edit-node repo into /etc/yum.repos.d. You can use it in any directory to avoid cluttering up normal system operation. 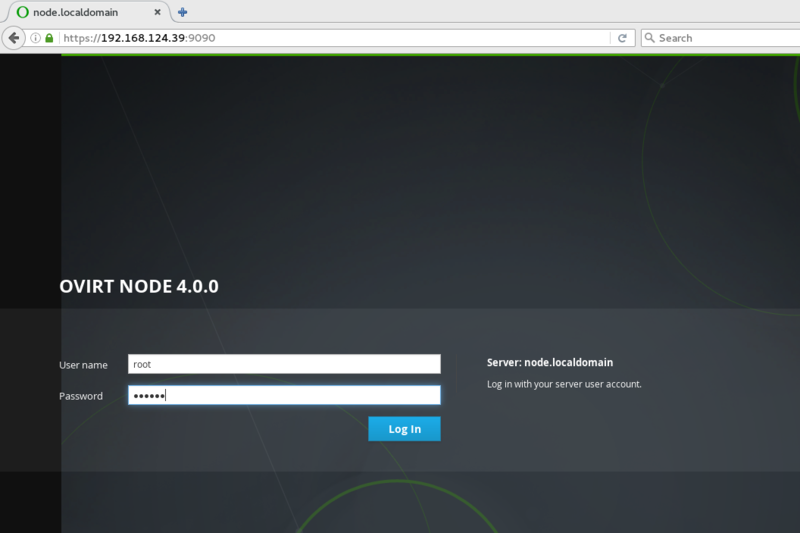 This post is about setup virt-manager to autoinstall oVirt Node as virtual machine via libvirt/PXE. Additionaly, TFTP server will be installed in the host machine which runs the virt-manager. I have created the post based on Fedora 20, fell free to post comments about your experience in others versions or distros. - management_server: Specifies - the management server to be used. First, check if your host has enabled the nested-kvm, if not, enable it and via virt-manager interface copy the Processor flags to the virtual-machine. 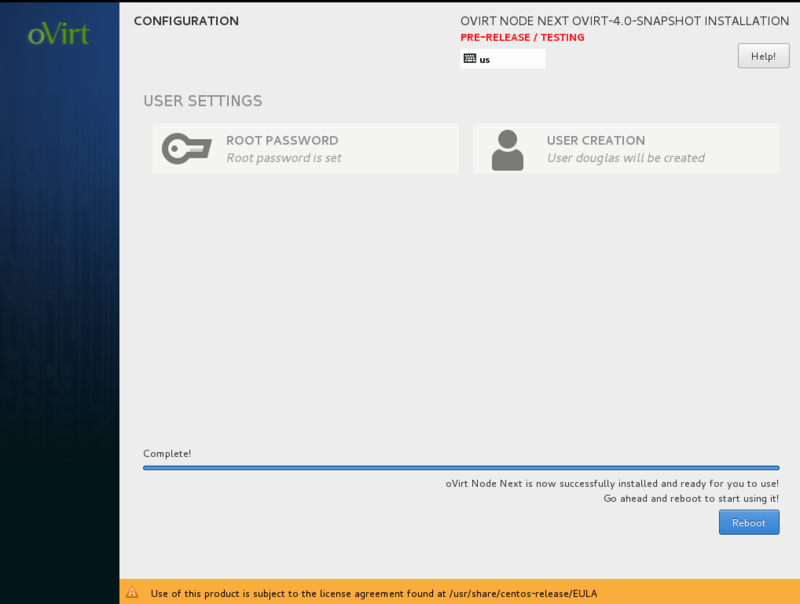 After that, create your new virtual machine for oVirt Node based on PXE boot. and cloud technologies, below my view of these days. students, colleges and government institutions. 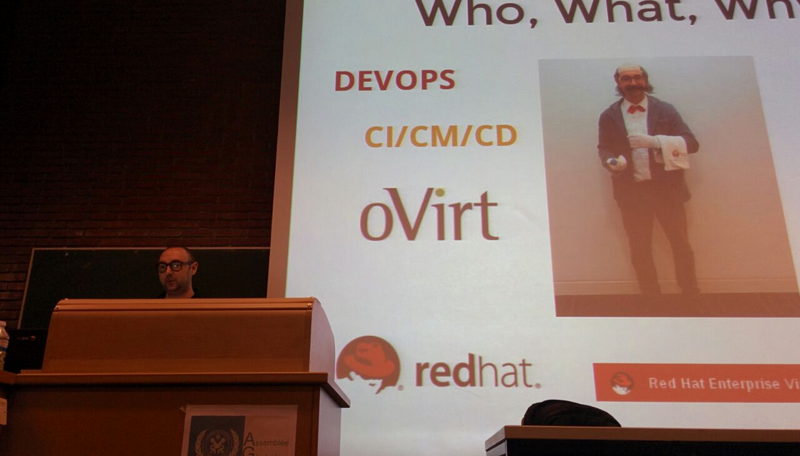 (Red Hat) to demostrate and talk about oVirt. always have people asking how to migrate from VMWare environment to oVirt. possible migration of 400 VMware guests. will join forces to us. help him with any information that he needs. for the development phase of their product. 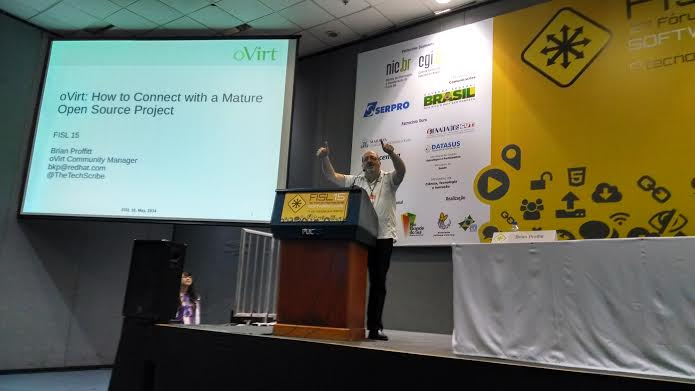 Brian Proffitt in: oVirt: How to Connect with a Really Mature Open Source Project. early days which I was part of it. 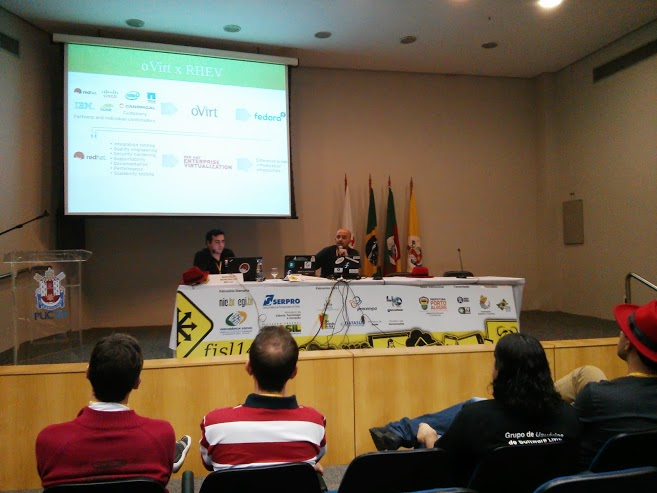 the knowledge to oVirt users and to Leonardo Vaz to make the booth happen. students, universities and government institutions. expect in the upcoming releases. which has been promoting and testing it in his free time. 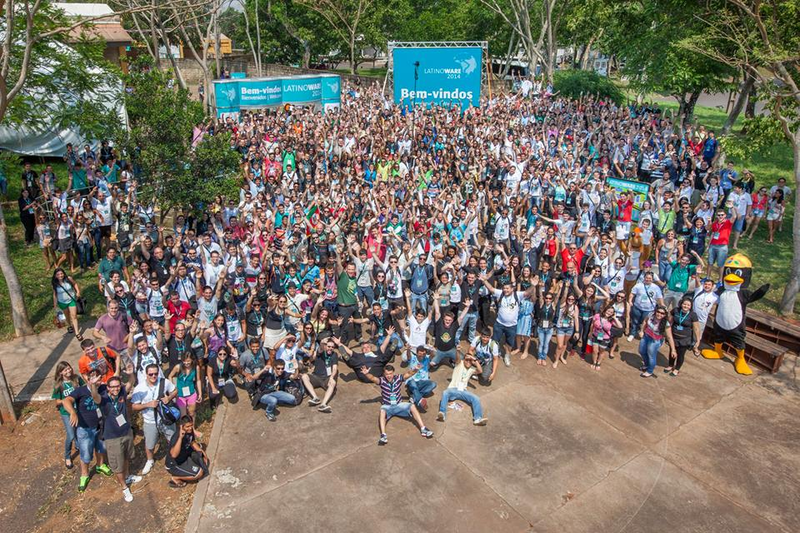 Brazilian Colleges and so on. Work in a talk to explain this tools in depth. 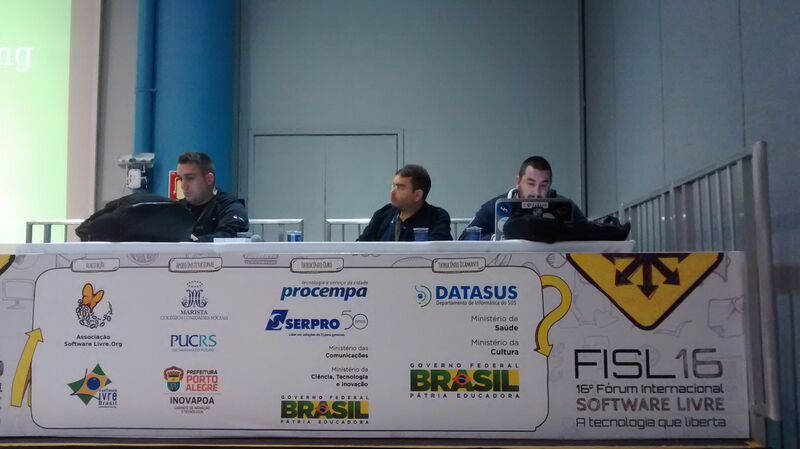 Additionally, Theron (left), Ademar (center) and John Mark Walker talked about virtualization in a booth. 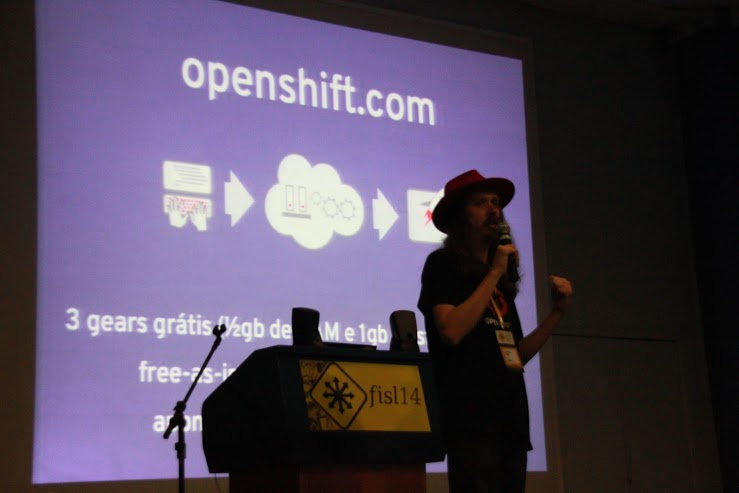 Fabiano Franz talked about OpenShift in the main track/booth a lot of people interested about openshift. Diane Mueller provided a demo in our booth. I'd like to thank all people involved on it (too many names to list here) but specially Leonardo Menezes Vaz and Leslie Hawthorn which worked hard to have our space/booth and all stuff ready for this event.